This study deals with Particle Matter (PM) levels in the metropolitan area of Lisbon and shows that EU directive is exceeded in a systematic way, mainly due to the inner city traffic. Results show that it is important to develop an epidemiological study in Lisbon to find a possible association between PM levels, sources and morbidity. 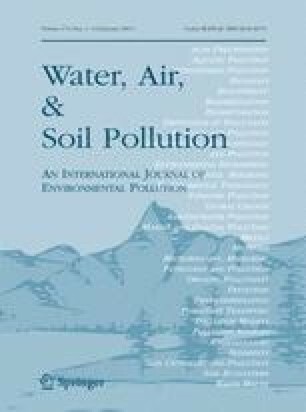 Some important issues related with a monitor's representation of regional, sub-regional, and local air pollution exposures to the population in the metropolitan area are highlighted. PM2.5 and PM10 total mass concentration measured in several places located in both centre of Lisbon and the outskirts are quite well correlated, mainly considering that two measuring methodologies (automatic and gravimetric) were used and areas with different classifications (urban and suburban) were analysed. However, the results imply that a source-oriented evaluation of PM health effects needs to take into account the uncertainty associated with spatial representativity of the species measured at a single sampling station. Temporal correlation across sampling stations, within relatively short separation distances, varied considerably for some important elements (Zn, Sb, Cu, As and Br), indicating that the precision of population exposure estimates for specific elements can vary depending on the species. IA (2005). A qualidade do ar em Portugal—Base de dados on-line sobre qualidade do ar', http://www.qualar.org/.